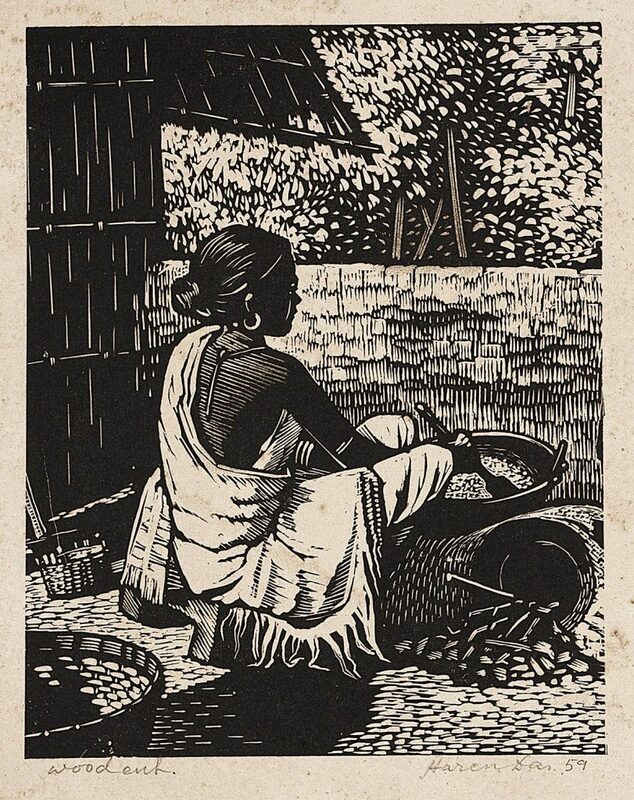 A master printmaker, Harendra Narayan Das specialised in graphic arts from the Government College of Art & Craft, Calcutta. 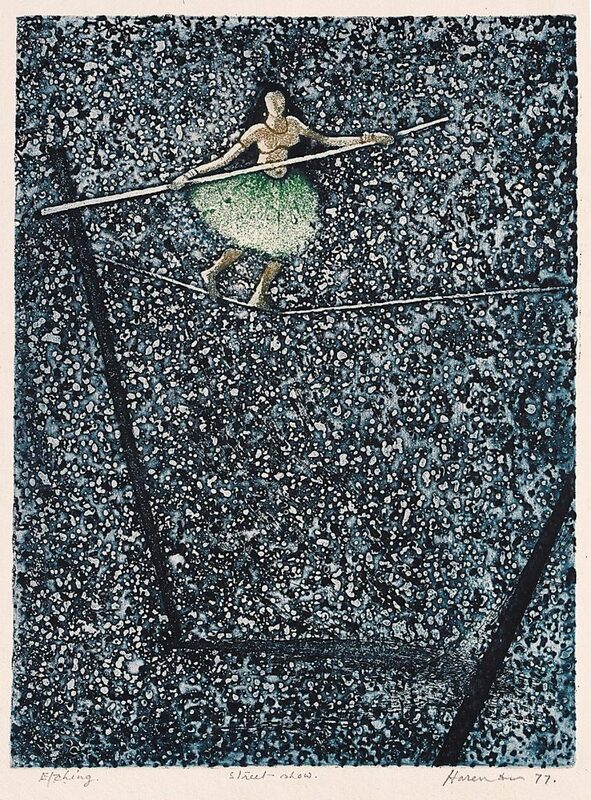 At a time when oil painting ruled consciousness and prints were considered inferior, Das chose to work solely with printmaking. 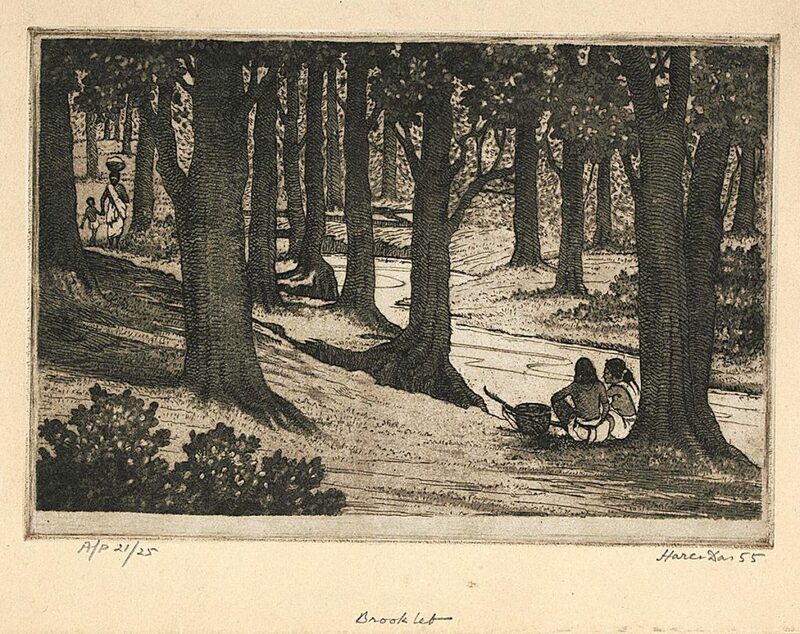 Taken from densely engraved or sparsely cut wood blocks, Das’ prints are both technically and artistically superior. 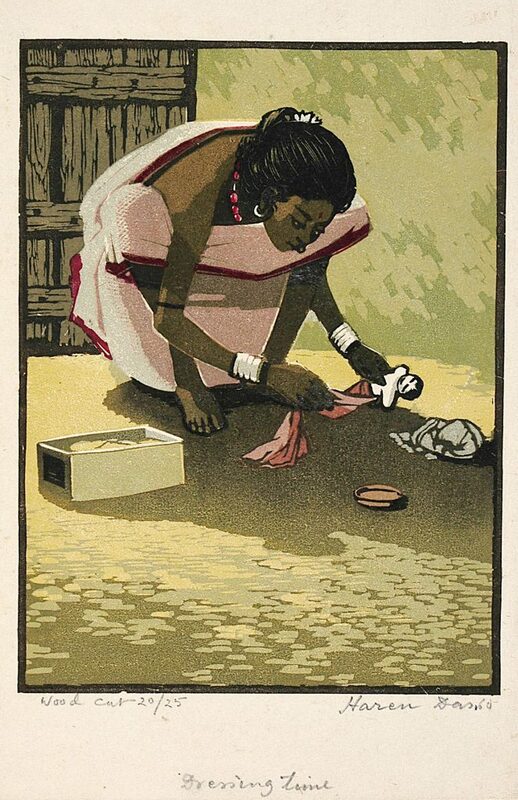 A dexterously crafted equilibrium of black and white, at times washed with thin layers of colour, detailed renditions of objects and elements, simplicity of composition and petite format are all characteristic features of his prints, whether in wood engraving, etching, dry point or linocut. 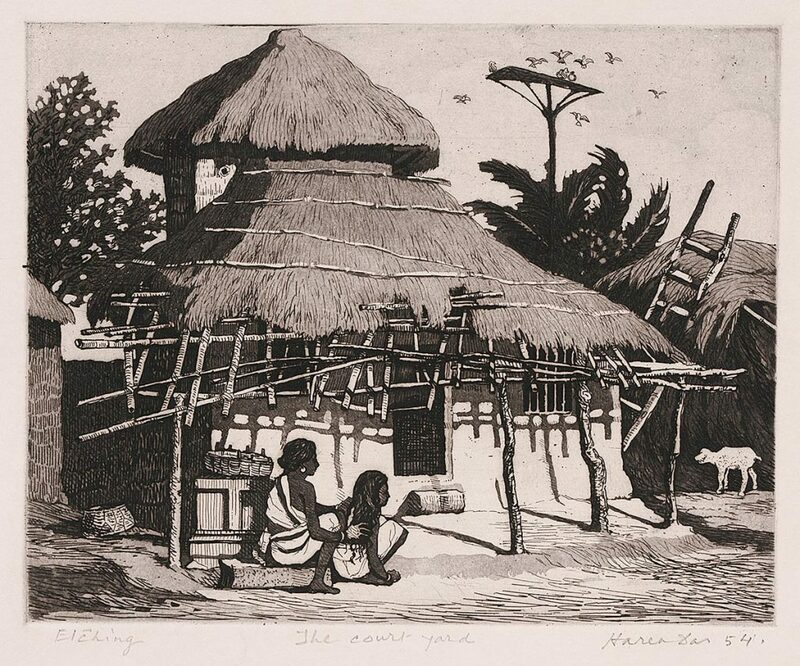 No viable art market existed in India till the Sixties, with few takers for prints in its narrow horizon. 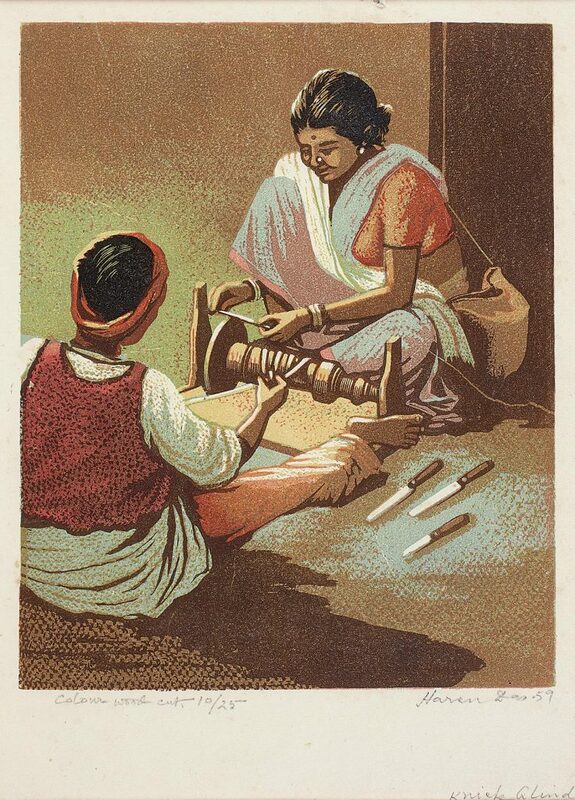 Das, however, continued with his passion, exhibiting extensively in India and abroad in the Fifties and Sixties. 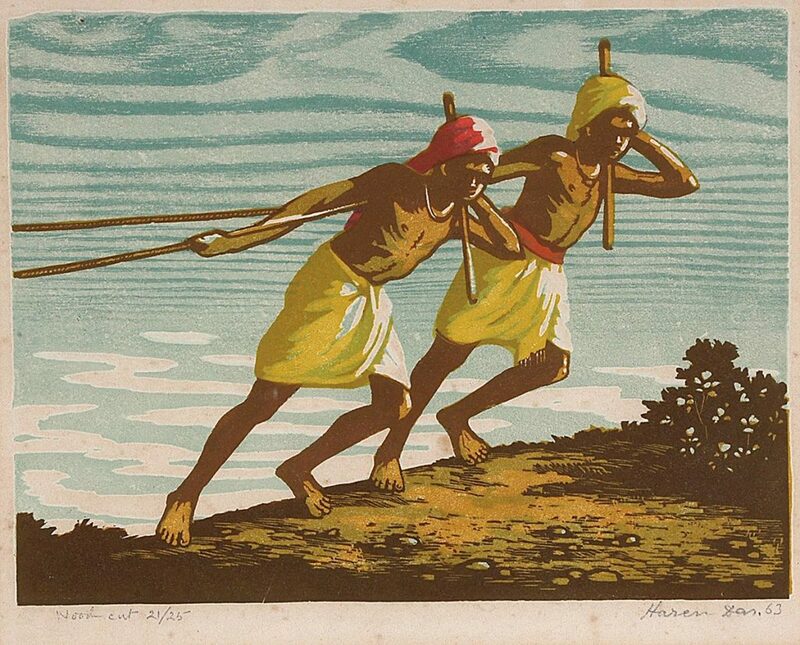 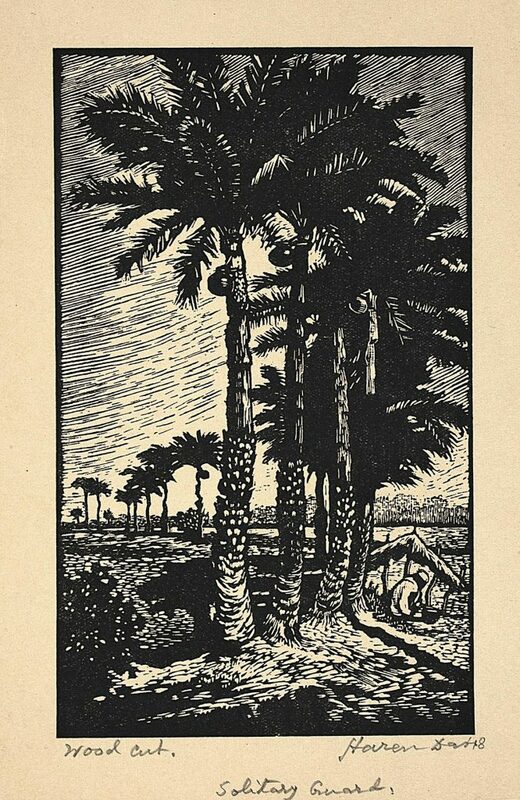 HarenDas’prolific wood engravings and woodcuts capture detailed vignettes from rural Bengal life, portraying people’s everyday life and labour. 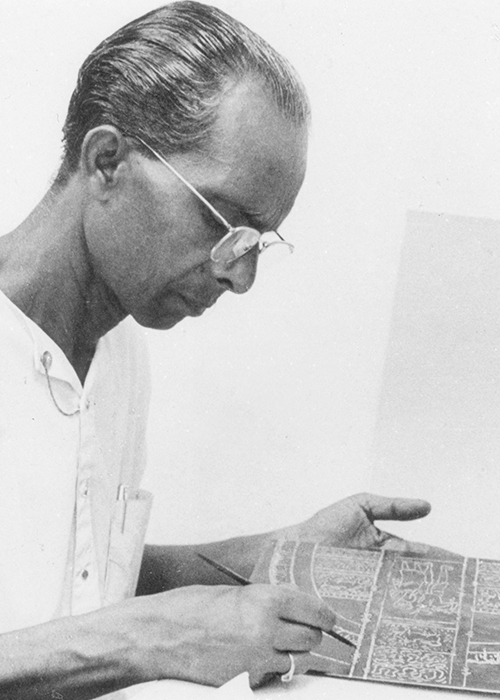 His deep identification with the hardworking rural folk and the urban poor stem from a natural empathy, as well as a nostalgia for his lost, idyllic home of pre-partition Bengal.